How much water to drink? The go-to answer is eight 8-ounce glasses a day, but it varies from person to person, meaning there is no universal standard. Let symptoms be your guide. The stock answer to the question "How much water to drink each day?" is: eight 8-ounce glasses. The real answer isn't that cut-and-dried. “Drink eight 8-ounce glasses of water every day.” You’ve likely been hearing that mantra forever, and it’s worthy advice for staying hydrated. But is “eight glasses per day” a science-based recommendation—or one of those old axioms repeated so often that it’s become known as fact? 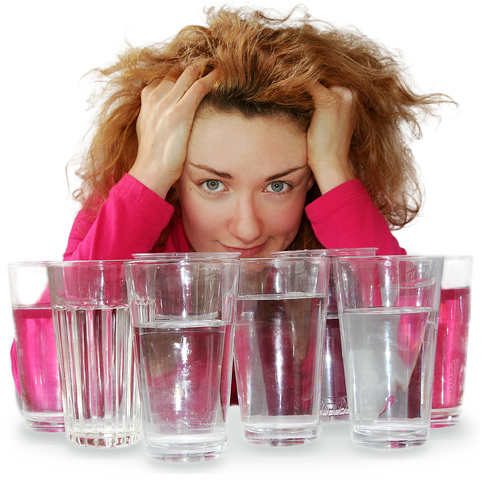 The truth is, there are multiple considerations that come into play when considering how much water to drink every day. Your health and locale, for example, can affect how much water you should drink. So too can your level of activity. And, in severe cases, a shrinking brain. Conversely, staying well-hydrated—particularly via water, as opposed to other types of liquids (more on that in a minute)—translates into all kinds of health benefits. Water helps your body to maintain a normal temperature, aids in the process of flushing wastes, helps you maintain your energy level, and improves your complexion. It also boosts your immune system, prevents kidney stones, and helps you avoid constipation as well as headaches and cramps. So… How Much Water to Drink? Your goal should be to avoid getting to the point of dehydration, but understandably, it happens—when we’re exercising hard, for example, or working in the yard, or spending a hot summer day at the beach. Fortunately, the situation is easily remedied by simply drinking water. If you meet what the National Academies of Science, Engineering, and Medicine calls your “daily hydration needs,” you shouldn’t get to that point. So, drinking eight 8-ounce glasses (64 fluid ounces) is a worthy complement to other sources, including such beverages as coffee and tea and such foods as fruits (think watermelon), vegetables (spinach), soups, and stews. Typically, we get around 20 percent of our daily fluid intake from foods we eat. Your activity. If you’re engaged in an activity that makes you sweat, whether it’s gardening, playing a strenuous game of tennis, or hiking on a summer day, make sure you’re replacing your lost fluids with extra hydration. Your environment. The dog days of August, not to mention other summer months, typically require more fluids. High altitudes also can produce dehydration. Your health. Fighting a fever? Dealing with diarrhea? Then you’d need to adjust your water and fluid intake upward. Are We Getting Enough Water? We know it can be harmful to our bodies to become dehydrated, but do most people take heed? Actually, adults in the U.S. do, for the most part, according to a government report issued in 2015. 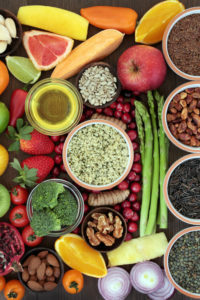 The report’s data, which came from the U.S. National Health and Nutrition Examination Survey (conducted between 2009 and 2012 by the Centers for Disease Control and Prevention), showed that adult women exceed the daily recommended intake. Female participants of the study were drinking 93 ounces of fluid per day, or around 12 cups daily. Men were very close to their recommended 125 ounces, drinking some 117 ounces daily. Younger generations, when it comes to the question of how much water to drink, are going in the wrong direction. The same study cited above assessed the drinking habits of more than 4,000 young people aged 6 to 19 years old. Researchers measured how concentrated each subject’s urine was (urine osmolality) in assessing whether participants were well-hydrated. 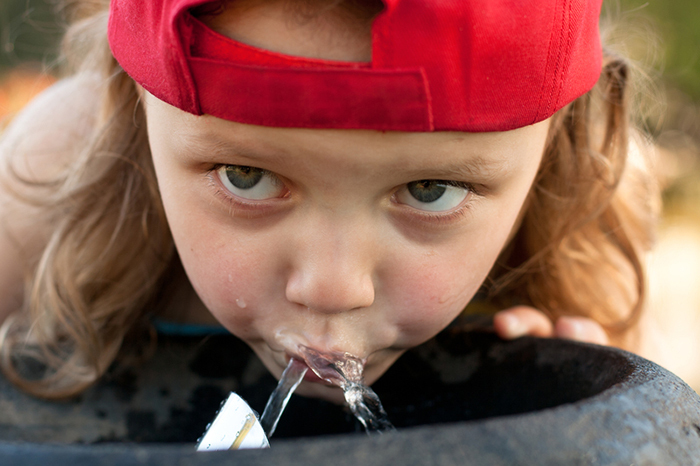 They discovered that more than 50 percent of all children and adolescents in the U.S. are not getting enough hydration. The trend, researchers say, could have an impact on the physical health and cognitive and emotional functioning of young people. “These findings are significant because they highlight a potential health issue that has not been given a whole lot of attention in the past,” said the study’s lead author, Erica Kenney, a postdoctoral research fellow in the Department of Social and Behavoral Sciences at Harvard’s Chen School. brain, calories, children, chronic dehydration, coffee, constipation, cramps, daytime fatigue, dehydration, dehydration symptoms, diarrhea, dry eyes, dry skin, emotional health, green tea, headaches, health, health and nutrition, health problems, healthy beverages, hearing, how much water to drink, hydration, immune system, kidney stones, mood, muscle, muscle cramps, nutrition, pneumonia, pressure ulcers, report, skin, spinach, sugar, ulcers, vegetables, weather, weight gain.